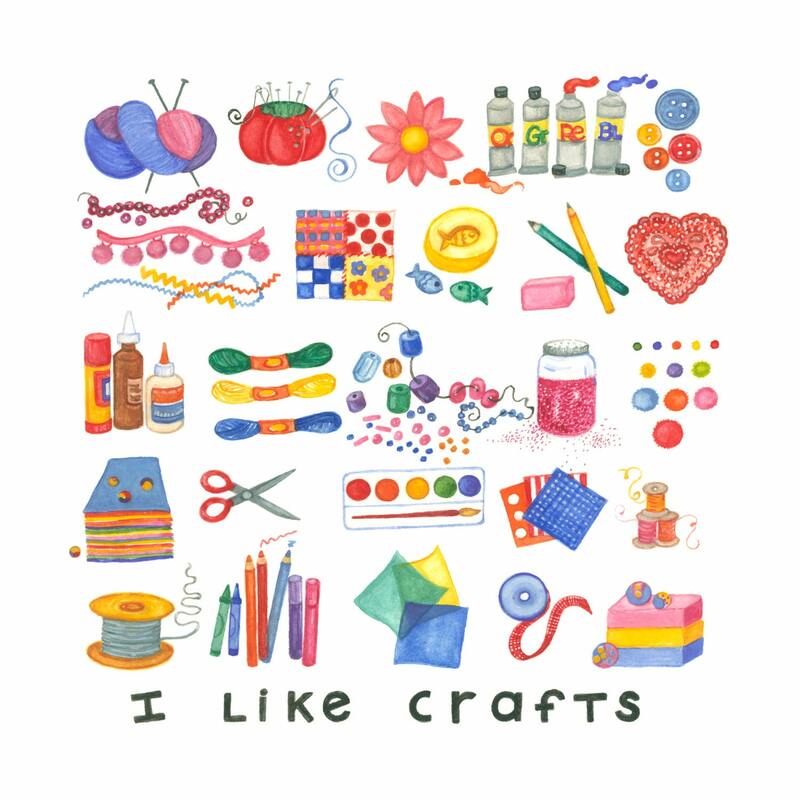 I Like Crafts illustration for craft lovers or for providing a little needed inspiration. Digital print on archival quality matte finish photo paper from original watercolor featuring colorful, detailed, arts and crafts supplies. Print is 12x12, image appx 10x10, appx 1" white border.